Home / Unlabelled / APGA FAITHFUL IMPLORED TO REMAIN STEADFAST IN THEIR IDEOLOGICAL BELIEFS . 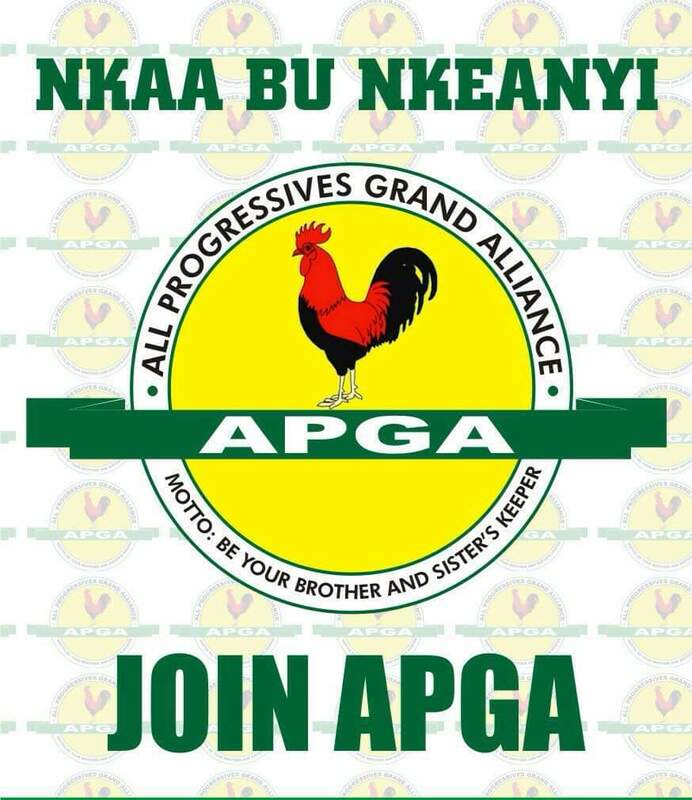 APGA FAITHFUL IMPLORED TO REMAIN STEADFAST IN THEIR IDEOLOGICAL BELIEFS . 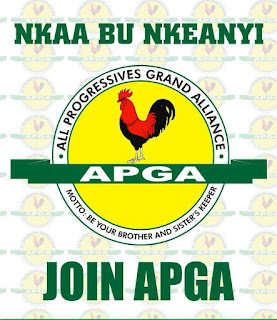 Members of the All Progressives Grand Alliance, APGA, have been charged to remain steadfast in their ideological beliefs and inclinations, in order to ensure another resounding victory for the party in the forthcoming general elections in the country. The Director General of the Prince Chinedu Emeka Campaign Organisation for Anambra North Senatorial District, Prince Emeka Asoanya, gave this advice at Fegge, during a gathering of stakeholders of the party in Onitsha South local government area. Prince Asoanya, who explained that loyalty is very important in partisan politics assured that party faithful who remained steadfast against all odds would be adequately rewarded soon after the polls. He implored party members who feel aggrieved over the outcome of the recent primaries to remain patient and avoid taking actions which they would regret after imminent victory of APGA in Anambra state in the February and March general elections. The DG of Prince Chinedu Emeka Anambra North Senatorial District Campaign Organisation also said that, apart from the massive and verifiable achievements of the Obiano administration, APGA, is generally regarded by Ndigbo as their aboriginal political party which deserves to govern all the states in the Southeast geopolitical zone and beyond. Prince Asoanya emphasised that powerful and influential institutions such as the Church, Town Unions, Traders Associations, Anambra state branches of the Nigerian Labour Congress, NLC and Trade Union Congress, TUC, among others are very happy with the APGA government under Governor Obiano's watch due to his characteristic responsiveness to the plights, yearnings and aspirations of the citizenry.